Scotland is well known throughout the golfing world as the home of golf. Understandably, most golfers want to be part of that history and dream of playing the famous courses. We will help you to fulfill your dreams by putting together a Scotland Golf Package that will live in your memory forever . Whether you wish to play the many magnificent links golf courses in Scotland or seek out a few of the many hidden gems, we are here to help. Every detail of your Scotland golf vacation will be arranged for you, including prime guaranteed tee times on St Andrews Old Course – the home of golf. You can play any of the major courses with guaranteed tee times and Golf Vacations UK will arrange your choice of standard or luxury accommodations plus self drive vehicle rental, chauffeured transport or just plain transfers between airport, hotel and courses. St Andrews Old Course is the major attraction; however Carnoustie, Royal Troon, Muirfield, and Turnberry Ailsa are four other Open Championship Courses in Scotland. Prestwick Old Links is the birthplace of the Open Championship and the first Open was played there in 1860. This course is a very popular addition for players interested in the history of the game and well worth including in any Scotland Golf Package. There are many other fine golf courses in Scotland – those that have hosted the Scottish Open Championship, such as the Loch Lomond, Gleneagles and Castle Stuart courses as well as the hidden gems in each area, which are too many to mention. Each area of Scotland has its own distinct attractions. Scottish Highlands – The Highlands is excellent for sightseeing and beautiful scenery, which includes the Black Isle and Loch Ness as well as the excellent courses at Royal Dornoch, Nairn, Castle Stuart, Cruden Bay and Royal Aberdeen. The most recent addition in the Aberdeen area is Trump International, which is becoming very popular. Scotland West – The west coast has Loch Lomond and the Trossachs National Park with the courses at Turnberry, Royal Troon, Western Gailes, Prestwick Old Links and Machrihanish being fine examples of wonderful Links Golf Courses that would grace any Scotland Golf Package. Scotland East – The east has the historic and engaging coastline of fishing villages in the St Andrews area and the capital and historic city of Edinburgh where sightseeing is a must for those interested in the history of Scotland. 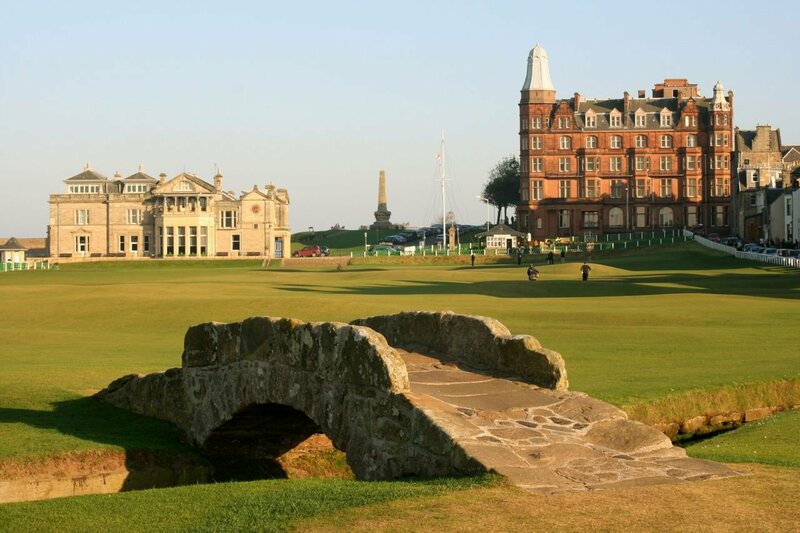 The courses here include St Andrews Old Course, Carnoustie and Kingsbarns, and the historic courses east of Edinburgh at Musselburgh, Muirfield, Gullane and North Berwick. Our East of Scotland Golf Packages are very popular with our clients. For whisky lovers who wish to include distillery visits in their Scotland golf vacation, there is plenty to choose from, such as Glenmorangie and Macallan in the Highlands and Speyside to Glenturret and Tullibardine in the central area of Scotland. Come and play golf in Scotland, the home of golf, and let Golf Vacations UK organize your trip of a lifetime.